March 28, 2017 The news has been full of people awakening to an unexpected reality, all the way from the water warriors to the President of the United States. In this issue, we explore a few of the new ways North Americans have suddenly found themselves awake and on unfamiliar ground. But first the news. On Friday, March 25th, the Atlantic Sierra Chapter and Cornell Law School’s Environmental Law Society held a conference on matters regarding water and water law, for the benefit of activists and the general public. The proceedings were videographed and are peresented here. Join us to find out how solar can work for residents of Schuyler County while enjoying beer from Heavily Brewing Company or wine from Damiani Wine Cellars. At both events you will have the opportunity to meet installers, ask questions and learn whether solar is right for you. Our volunteers will be on hand to discuss their experience going solar for anyone interested in hearing how their neighbors have gone solar. At the event you will be able to sign up and get your home assessed FREE of chargethere’s nothing to lose by signing up and there is no commitment once you do. If you want to come to the event and just meet installers before making any decisions that’s okay- this event is free and open to the public. We’ll bring the education, Damiani Heavily have the drinks and atmosphere, we’re just missing you! To Change Everything, We Need Everyone. This was the rallying call of the 2014 People’s Climate March in New York City, and it continues to inspire the climate movement across the United States. In New York State, Governor Cuomo was influenced by tens of thousands of NY residents who spoke out against “fracking” for natural gas, such that he and the Department of Environmental Conservation made it illegal in our state in Dec. 2014. “We need everyone” to speak out for renewable energy and the jobs that it will create, and against the public health hazards and climate crisis created by fossil fuel use, processing and transport. Mark Dunlea is chair of the Green Education and Legal Fund and helps coordinate the statewide campaign to transition to 100% renewables in NYS by 2030. He will provide an update on state efforts around renewable energy, including a new study just announced by the Governor. He will also discuss state legislation for a carbon tax; the Attorney General’s effort to investigate the fossil fuel industry role in promoting climate denial; divesting the state pension funds from fossil fuels; and Governor Cuomo’s $7.6 billion bailout of the nuclear industry. Elizabeth (Betta) Broad is the Outreach Director for the New Yorkers for Clean Power campaign, working to accelerate the transition to a renewable energy economy in New York State. She will provide information on some of NYCP’s current priorities including on-the-ground organizing and expansion of electric vehicles, community solar, renewable heating and cooling and energy efficiency. She will also give an update on her work with Citizens for Local Power to create a Community Choice Aggregation program in the Mid-Hudson. A resident of Kingston, she serves on the Kingston Conservation Advisory Council, the Kingston Climate Smart Commission and the Ulster Climate Smart Committee. Following the main speakers and Q&A on their presentations, local organizations will provide concrete opportunities for everyone to take action to make a difference at local, state and federal levels. Rochester People’s Climate Coalition (RPCC) is composed of over 100 local business, non-profit, labor, faith, and grassroots and organizations. RPCC unites these local organizations to address the urgent need to reduce greenhouse gas emissions, transition to a clean energy economy, and prepare for the impacts of global warming. Through coordinated, collaborative efforts, we will create a more environmentally just and sustainable community. [The Daily Public Editors Note – After a decades old war by certain sectors of the “pay to play” private development community on the State Environmental Quality Review Act SEQRA, it looks like new rules are going to bring this critical environmental and social protection tool to its knees. It is after all, the Age of the anti-regulatory Trump-o-mania, and it is revealing and sad that his home state, New York, which once was a national leader in environmental protection, is now leading the way to the abolishment of environmental safeguards. The proposed new SEQRA rules makes NY way ahead in the game of de-regulating environmental concerns in favor of more unfettered development and profit taking. We know where our leaders stand. These new rules will effect how buildings, infrastructure, and energy pipelines are built. Abolishing protections and environmental and community character are, well, almost vanished. When a government agency talks about “streamlining” environmental regulations, and increasing “speed and efficiency” and “regulatory certainty for applicants and municipalities,” you can be certain that the effect (if not the conscious intent) will be decreased environmental protections and a reduction in the public’s ability to meaningfully participate in the decision-making process. That is precisely what will occur if the current version of the New York State Department of Environmental Conservation’s proposed amendments to the State Environmental Quality Review Act’s regulations are adopted without significant changes. The last thing New York should be doing is weakening its environmental review process when – on the national level – the Trump Administration is intent on repealing environmental regulations, weakening environmental enforcement, and allowing more fossil fuel production. [For example, see this and this.] If you agree that NYS should be strengthening, not undermining, its environmental laws, I urge you to analyze the proposed amendments to the SEQR regulations, submit written comments by May 19, 2017 to the New York State Department of Environmental Conservation, Division of Environmental Permits, Attn: James J. Eldred, Environmental Analyst, 625 Broadway, Albany, New York 12233-1750 or by e-mail to: seqra617@dec.ny.gov, and, if possible, participate at the public hearing to be held on March 31, 2017 at 1:00 pm at 625 Broadway, Albany, New York, Public Assembly Room 129. 1. THE primary motivation behind the proposed amendments appears to be a desire to add categories of projects and activities not subject to review under SEQRA. The DEC’s SEQR rulemaking continues the same trajectory it has been on for decades: substantially increasing the types of actions and projects that do not have to undergo any SEQRA review (“Type II actions”), while identifying no new categories of activities presumed to have a significant adverse environmental impact and require an environmental impact statement (“Type I actions”). Borger Station: What’s Up With That?? Katie Quinn-Jacobs and Elisa Evett drove carefully up and down the roads in the upscale Ellis Hollow community counting the houses. They couldn’t quite believe it when they realized that 330 homes were within a 2 km radius of the Borger Station, a major gas compressor facility. Ellis Hollow, a bedroom community for Cornell University, has been living with a sleeping giant in its midst for decades. The 23,000+ horsepower Borger Station gas compressor, a facility consisting of two older Dresser Clark 5800 hp turbines and one newer Solar Taurus Model 12,126 hp turbine, has been running below capacity for years moving an un-specified volume of gas through the Dominion Pipeline from November to March to meet the demands of National Grid gas customers during the winter months. In fact, this is unassuming looking compressor facility is actually permitted to emit more than 250 tons/year of nitrogen oxides, thus putting it well over the 100 tons/year threshold and categorizing it as a Title V or major facility. But changes are coming to Ellis Hollow due to the recent approval of the Dominion New Market expansion which will allow 100,000,000 cubic feet of additional gas to be pushed through this 50+ year old pipeline each and every day. Some time in the next few months, the slumbering giant will awake belching forth not only many tons of nitrogen oxides, but also greenhouse gases, along with fine particulates, and toxic compounds such as formaldehyde and benzene in levels that have been shown to be a threat to health – especially children’s. A community center that is home to a day care center, swimming pool, and several summer camps, is just down the road from Borger. Ironically, the residents of Ellis Hollow who will be breathing this toxic cocktail, don’t even have access to gas for their own home heating! Because the changes at Borger didn’t require a new permit from the Town of Dryden or from the NY DEC, most residents were unaware of the expansion until a feisty group of mothers and grandmothers got involved. In recent months, Katie and Elisa coordinated a team of women organizing under the banner of the non-profit organization Mothers Out Front. The community organizing team worked to get the word out to local residents and to enlist the cooperation of local authorities to oppose the gas expansion and to help conduct health studies and air quality monitoring in order to establish a pre-expansion baseline. Although they haven’t been able to stop the project, they have made headway in enlisting the help of the Dryden Town Board and local residents in advocating for questions to be answered and data to be collected so the community can be informed. There are two new proposed solar farms in Dryden. They are a small part of a big change—a turn away from fossil fuel burning toward energy from the sun. If you are a Dryden resident and can attend the Board Meeting at the Town Hall on March 30th, 7:00 pm, we would most welcome your presence. Time is short and they need to know that lots of people stand behind this important decision. Without this we have no hope of achieving carbon emission reduction goals set by the town, Tompkins County, or NYS. The decision will be made by the Board on March 30th. Please sign now whether or not you are a Dryden resident If you are a Dryden resident and can attend the Board Meeting at the Town Hall on March 30th, 7:00 pm, we would most welcome your presence. Whether or not you are a resident of Dryden, please go to “Solar Energy Petition ” and add your name to our message to the Dryden Town Board to go forward now . Time is short and they need to know that lots of people stand behind this important decision. Without this we have no hope of achieving carbon emission reduction goals set by the town, Tompkins County, or NYS. The decision will be made by the Board on March 30th. We, the undersigned, ask the Dryden Town Board to continue their support of large scale solar development. With global warming delivering climate change to our doorstep, the need to stop fossil fuel build-out is critical. Because the siting of solar development is contingent on nearby connection to the electric grid, we need to make the available sites work. Homeowners and others are concerned not only about the visual impact of large acreage solar, but also the impact on wildlife and recreation. Therefore we also ask that, while continuing to support this project, the Town Board members consider the concerns of residents and require the developers to mitigate the visual impacts with performance specifications for good screening of the panels along property lines adjacent to houses, roads, and the cemetery. If allowable within the constraints of fencing requirements, access by wildlife would be beneficial. How will Cornell get to a Carbon Neutral goal by 2035? Come and find out. It’s an ambitious plan worth learning about. 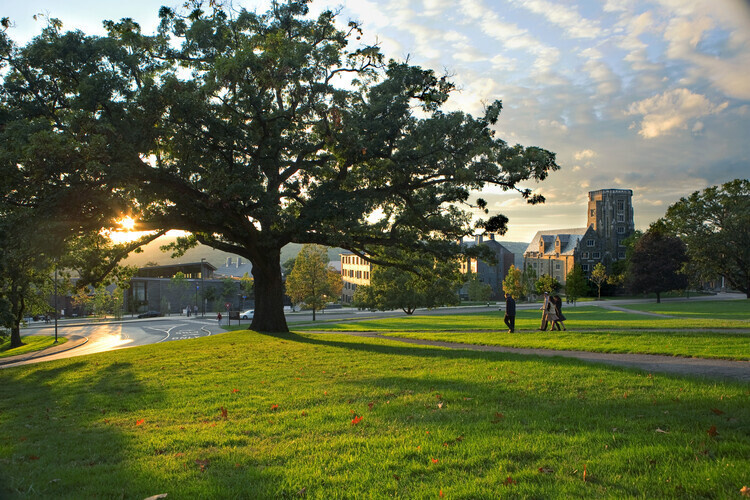 ITHACA, N.Y. – Cornell’s Senior Leaders Climate Action Group (SLCAG) will host a public forum Tuesday, March 28, to discuss its report, “Options for Achieving a Carbon Neutral Campus by 2035,” from 4:30 to 6PM at the Hotel Ithaca, 222 S. Cayuga St. The event is free and open to the public. Released in the fall, the report builds off Cornell University’s existing Climate Action Plan, further outlining solutions to reduce energy demands and increase clean energy supply. Following the presentation, there will be a question-and-answer session for community members. Sarah Zemanick, director of the Campus Sustainability Office. As I have moved about the Southern Tier since Jan. 20, 2017, I have heard several people refer to some kind of listening process as a key in organizing. Then they usually say if it weren’t so atrociously time consuming, they’d be all over it. I would like to address this concern. It is true that the foundation of all organizing is the art of listening. Not just because it shows respect for the people whose interest you require. Not because it flatters them. Listening is not a tactic or a means of manipulating people. It is a means of organizing them. Helping them develop their power. You say you’re worried about ______. What could be changed that would make you feel better about that? Who would make that decision? What would it take to get them to see it your way? Yes, for most people, it’s a stirring experience. They will think thoughts they’ve never thought before, see connections they hadn’t seen before, and surprise themselves by saying things they didn’t know they knew. They will be intellectually excited. “Outside Agitator” is the name of a scapegoat people in power love to accuse whenever constituents challenge their control. They’re not far off, but it’s actually the inside agitator, the person’s own self-organizing, that’s causing all the trouble. There’s not much any politician can do about that—at least, not in a free society. In our culture, the individual citizen’s power lies dormant, like the pale sprout inside an acorn. What makes it start to itch and twitch and push its way to the surface is the realization that citizenship comes with a constitutional right to organize for change. It is the role of the organizer to pose the questions that awaken this power—tell me what you’re up against; why is that; who else feels this way; and what could be done to change it? This probing is the nascent, revolutionary act of organizing: of you challenging another person to organize her/himself. In working over these seemingly simple questions, a person crosses a threshold that cannot be uncrossed; for, once someone sees and feels his or her rightful place in a democracy, things are just different. For good. Wacky Winter Weather: Record Warmth in Buffalo and U.S. – Linked to Global Warming? Save The Date: DISTINGUISHED LECTURE: “Climate Change Denial in the Age of Trump,” Dr. Michael Mann, Climate Scientist and Author of “The Madhouse Effect,” illustrated by cartoonist Tom Toles. Come Earth Day, April 22, the extraordinary story of Standing Rock will hit the big screen at the Tribeca Film Festival. “AWAKE, A Dream from Standing Rock” is a documentary that captures the indigenous-led resistance against the Dakota Access Pipeline. Josh Fox, who shed light on the impacts of fracking in his documentary Gasland and its sequel, Gasland 2, is directing this film alongside James Spione (“Silenced”) and Myron Dewey, who owns Digital Smoke Signals, a social media film company that tells stories through indigenous eyes. Actress Shailene Woodley (“Big Little Lies”) is the film’s executive producer. The documentary’s trailer was released Friday (March 24). “What’s going on here at Standing Rock isn’t just about Standing Rock,” one man says in the trailer. “It’s not just about stopping a pipeline. This is about the survival of humanity.” The trailer revolves primarily around the events of November 2 where militarized police pepper sprayed, deployed tear gas and shot non-lethal ammunition against water protectors along Cantapeta Creek during a water ceremony. CALGARY – President Donald Trump’s administration approved TransCanada Corp’s Keystone XL pipeline on Friday, cheering the oil industry and angering environmentalists even as further hurdles for the controversial project loom. “Transcanada will finally be allowed to complete this long-overdue project with efficiency and with speed,” Trump said in the Oval Office before turning to ask TransCanada CEO Russell Girling when construction would start. OSLO, March 27 (Reuters) – Standing Rock Sioux tribe representatives [met] the ethics watchdog for Norway’s $915 billion sovereign wealth fund on Monday over a U.S. oil pipeline, a watchdog official said on Monday. On Sunday, Norway’s largest bank DNB sold its share of loans funding the Dakota Access oil pipeline, ending its involvement in a project that has faced strong opposition from Native Americans and environmental groups. The pipeline will move crude oil from the U.S. Northern Plains to the Midwest and then on to the Gulf of Mexico. Norway’s sovereign wealth fund holds $248 million in bonds of Energy Transfer Partners LP, which is leading the pipeline project. The fund has an ethical profile and is not allowed to invest in companies that breach certain guidelines regarding the environment, human rights and corruption, among other criteria. “We will be meeting them today. They have asked for a meeting and said they would like to meet us,” Eli Ane Lund, head of the secretariat of the fund’s Council on Ethics, told Reuters, declining to give further details. A meeting with the watchdog does not mean the fund is considering excluding a company. Representatives from non-governmental organisations often meet with Council on Ethics officials. The fund invests in close to 9,000 companies worldwide. BISMARCK, N.D. (AP) — A December oil pipeline spill in western North Dakota might have been three times larger than first estimated and among the biggest in state history, a state environmental expert said Friday. About 530,000 gallons of oil is now believed to have spilled from the Belle Fourche Pipeline that was likely ruptured by a slumping hillside about 16 miles northwest of Belfield in Billings County, Health Department environmental scientist Bill Seuss said. The earlier estimate was about 176,000 gallons. No decision has been made on any fines against Wyoming-based True Cos., which operates the pipeline. The company says it is committed to cleaning up the spill and that the job is about 80 percent done. “There’s no timeline for completion, spokeswoman Wendy Owen said. “We will be there until it is” done. A company’s efforts to clean up after an oil spill are a large factor in how much of a fine is levied, according to Seuss. 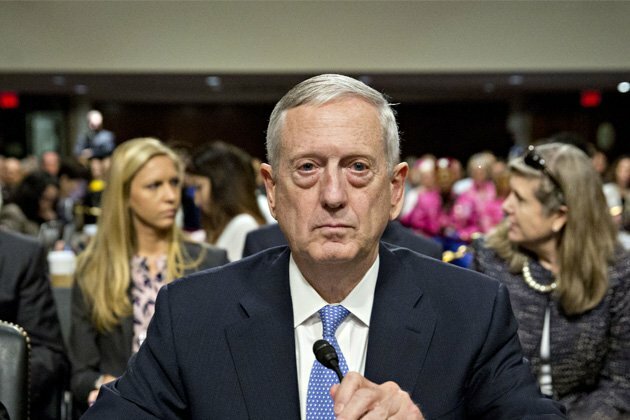 Mattis has long espoused the position that the armed forces, for a host of reasons, need to cut dependence on fossil fuels and explore renewable energy where it makes sense. He had also, as commander of the U.S. Joint Forces Command in 2010, signed off on the Joint Operating Environment , which lists climate change as one of the security threats the military expected to confront over the next 25 years. 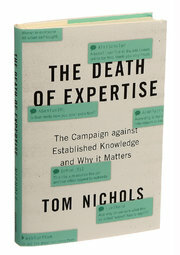 THE DEATH OF EXPERTISE The Campaign Against Established Knowledge and Why It Matters By Tom Nichols 252 pages. Oxford University Press. $24.95. Donald J. Trump’s taste for advisers with little or no government experience; his selection of cabinet members like Scott Pruitt and Rick Perry, who have expressed outright hostility to the agencies they now oversee; and the slow pace of making senior-level appointments in high-profile departments like State, Treasury and Homeland Security — all speak to the new president’s disregard for policy expertise and knowledge, just as his own election victory underscores many voters’ scorn for experience. This is part of a larger wave of anti-rationalism that has been accelerating for years — manifested in the growing ascendance of emotion over reason in public debates, the blurring of lines among fact and opinion and lies, and denialism in the face of scientific findings about climate change and vaccination. “The Death of Expertise” turns out to be an unexceptional book about an important subject. The volume is useful in its way, providing an overview of just how we arrived at this distressing state of affairs. But it’s more of a flat-footed compendium than an original work, pulling together examples from recent news stories while iterating arguments explored in more depth in books like Al Gore’s “The Assault on Reason,” Susan Jacoby’s “The Age of American Unreason,” Robert Hughes’s “Culture of Complaint” and, of course, Richard Hofstadter’s 1963 classic, “Anti-Intellectualism in American Life.” Nichols’s source notes are one of the highlights of the volume, pointing the reader to more illuminating books and articles. Further reading: ” …Though not originally written for Americans, “Democracy in America” must always remain a work of engrossing and constantly increasing interest to citizens of the United States as the first philosophic and comprehensive view of our society, institutions, and destiny. No one can rise even from the most cursory perusal without clearer insight and more patriotic appreciation of the blessings of liberty protected by law, nor without encouragement for the stability and perpetuity of the Republic. The causes which appeared to M. de Tocqueville to menace both, have gone. The despotism of public opinion, the tyranny of majorities, the absence of intellectual freedom which seemed to him to degrade administration and bring statesmanship, learning, and literature to the level of the lowest, are no longer considered. The violence of party spirit has been mitigated, and the judgment of the wise is not subordinated to the prejudices of the ignorant. A senior member of the Trump administration’s beachhead team at the EPA unexpectedly resigned over concerns of the “integrity” of political appointees and career employees. David Schnare was expected to take a top post at EPA, but he abruptly resigned March 15th. It wasn’t for personal reasons, but over what he called a “question of integrity.” Schnare resigned with the title of assistant deputy administrator. “This wasn’t about me being angry or upset,” Schnare told The Daily Caller News Foundation, saying his resignation had a “much deeper story” than he was willing to disclose at the time. Schnare didn’t go into detail, but said he would soon write about the events that led to his resignation. His comments, however, suggested infighting at EPA between transition officials, EPA Administrator Scott Pruitt’s inner circle and career employees. Schnare said the White House is looking into the circumstances surrounding his resignation. The EPA did not respond to The DCNF’s request for comment. Reports already suggested tension between President Donald Trump’s political appointees and EPA career staff. Last month, FracTracker Alliance featured a blog entry and map exploring the controversy around National Fuel’s proposed Northern Access Pipeline (NAPL) project, shown in the map below. The proposed project, which has already received approval from the Federal Energy Regulatory Commission (FERC), is still awaiting another decision by April 7, 2017 — Section 401 Water Quality Certification. By that date, the New York State Department of Environmental Conservation (NYS DEC) must give either final approval, or else deny the project. The NAPL project includes the construction of 97-mile-long pipeline to bring fracked Marcellus gas through New York State, and into Canada. The project also involves construction of a variety of related major infrastructure projects, including a gas dehydration facility, and a ten-fold expansion of the capacity of the Porterville Compressor Station located at the northern terminus of the proposed pipeline, in Erie County, NY. On three consecutive days in early February, 2017, the New York State Department of Environmental Conservation (NYS DEC) held hearings in Western New York to gather input about the NAPL project. On February 7th, the day of the first meeting at Saint Bonaventure University in Allegany County, NY, an alarming — and yet to be fully reported — incident widely considered to be a gas leak, occurred at, or near, the Porterville Compressor Station. The incident is thought to be connected to the planned upgrades to the facility, but was not even mentioned as a concern during the public meetings relating to the Northern Access Pipeline in the subsequent hours and days. What follows is a story of poor communication between the utility company, first responders, and local residents, resulting in confusion and even panic, and has yet to be conclusively explained to the general public. We know that a little past 10 AM on February 7th, people in the villages of Elma and East Aurora, within about a mile of the Porterville Compressor Station, reported strong odors of gas. They filed complaints with the local gas utility (National Fuel), and the local 911 center, which referred the calls to the local Elma Fire Department. The fire department went to the Porterville Compressor station to investigate, remembering a similar incident from a few years earlier. 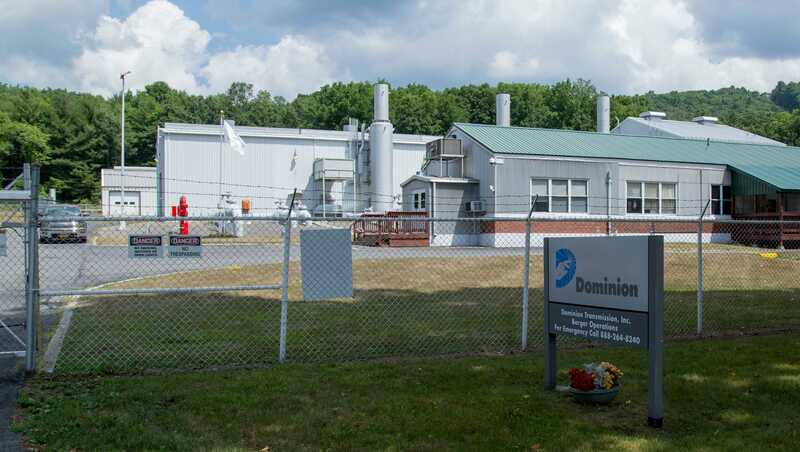 At the compressor station, representatives from National Fuel, the operator of the compressor station, assured the fire company that they were conducting a routine flushing of an odorant line, and the situation was under control, so the fire company departed. Residents in the area became more alarmed when they noticed that the odor was stronger outside their buildings than inside them. National Fuel then ordered many residents to evacuate their homes. The East Aurora police facilitated the evacuation and instructed residents to gather in the East Aurora Library not far from those homes. Nearby businesses, such as Fisher Price, headquartered in East Aurora, chose to send their employees home for the day, due to the offensive odor and perceived risks. Around 11:30 in the morning, up to 200 clients at Suburban Adult Services, Inc. (SASi), were evacuated to the Jamison Road Fire Station, where they remained until around 3 PM that afternoon. Over 200 reports were received, some from as far away as Orchard Park, eight miles down-wind of the compressor station. After East Aurora elementary and middle schools placed complaints, National Fuel told them to evacuate students and staff from their buildings. Realizing that the smell was stronger outside than inside the building, school leaders revised their plans, and started to get buses ready to transport student to the high school, where there had not been reports of the odor. Before the buses could load, however, the police department notified the school that the gas leak had been repaired, and that there was no need to evacuate. School officials then activated the school’s air circulation system to rid the building of the fumes. ANNAPOLIS, Md. — Maryland lawmakers voted Monday to ban hydraulic fracturing for oil and natural gas, a process better known as fracking. The Senate voted 35-10 for a measure that already has been approved by the House. That sends the bill to Republican Gov. Larry Hogan, who supports the ban. Fracking isn’t being done in Maryland now, but a moratorium on issuing permits ends in October. Fracking opponents cited health and environmental concerns for not allowing the drilling process to ever happen in the state. The drilling technique forces pressurized water and chemicals underground to break up the rock and release the gas. Critics say the process and disposal of tainted wastewater pose risks of water and air pollution, earthquakes and property devaluation. India’s Polar Satellite Launch Vehicle, in its thirty-seventh flight (PSLV-C35), launches the 371 kg SCATSAT-1 for weather related studies and seven co-passenger satellites into polar Sun Synchronous Orbit (SSO). 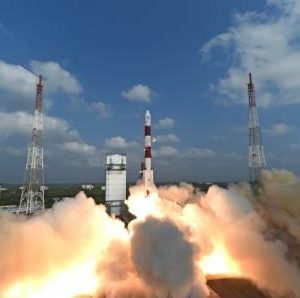 Co-passenger satellites are ALSAT-1B, ALSAT-2B, ALSAT-1N from Algeria, NLS-19 from Canada and Pathfinder-1 from USA as well as two satellites PRATHAM from IIT Bombay and PISAT from PES University, Bengaluru. For the first time, under the impetus of the Indian Space Research Organisation (ISRO) and the French Space Agency (CNES), space agencies of more than 60 countries agreed to engage their satellites, to coordinate their methods and their data to monitor human-induced greenhouse gas emissions. The COP21 climate conference held in Paris last December acted as a wake-up call in this context. Without satellites, the reality of global warming would not have been recognised and the subsequent historic agreement at the United Nations headquarters in New York on April 22, 2016 would not have been signed. Out of the 50 essential climate variables being monitored today, 26 – including rising sea level, sea ice extent and greenhouse gas concentrations in all layers of the atmosphere – can be measured only from space. The key to effectively implementing the Paris Agreement lies in the ability to verify that nations are fulfilling their commitments to curb greenhouse gas emissions. Only satellites can do that. Invited to New Delhi by ISRO and CNES on April 3, 2016, the world’s space agencies decided to establish “an independent, international system” to centralise data from their Earth-observing satellites through the ‘New Delhi Declaration’ that officially came into effect on May 16, 2016. The goal now will be to inter calibrate these satellite data so that they can be combined and compared over time. In other words, it is to make the transition to closely coordinated and easily accessible ‘big space data’. There are over 7,000 gas-filled bubbles in remote parts of Siberia that are set to explode, scientists have discovered. Following extensive field expeditions and satellite surveys, researchers in Russia have identified thousands of bulging bumps in the Yamal and Gydan peninsulas – far more than they had expected. Alexey Titovsky, director of Yamal department for science and innovation, told the Siberian Times that understanding the bubbles is of paramount important to assessing the risk they pose. In July last year, scientists released footage of the ground on Bely Island wobbling underfoot. When they punctured them, methane and carbon dioxide was released. It is thought an abnormally warm summer had caused the permafrost to thaw, leading to the release of methane that had been locked up in the ground. At present, it is thought this process is behind the emergence of the numerous craters that have appeared over recent years – including the ‘gateway to the underworld’ crater near Batagaiin. Titovsky said the 7,000 bulging bumps identified could also collapse into craters: “At first such a bump is a bubble, or ‘bulgunyakh’ in the local Yakut language. With time the bubble explodes, releasing gas. This is how gigantic funnels form. Thawing permafrost as a result of global warming is expected to lead to more methane release in the future, a spokesman from the Ural branch of Russian Academy of Science said. “An abnormally warm summer in 2016 on the Yamal peninsula must have added to the process,” they added. On Bely Island, scientists found methane was 1,000 times above normal, while CO2 was around 25 times higher. “As we took off a layer of grass and soil, a fountain of gas erupted,” one of the scientists working at the site explained. The release of methane from the thawing permafrost is of huge concern to climate scientists. Max Holmes, the deputy director and senior scientist at the Woods Hole Research Centre, told IBTimes UK it could lead to the collapse of human infrastructures, like roads and towns, as well as creating a feedback cycle that results in even more warming. 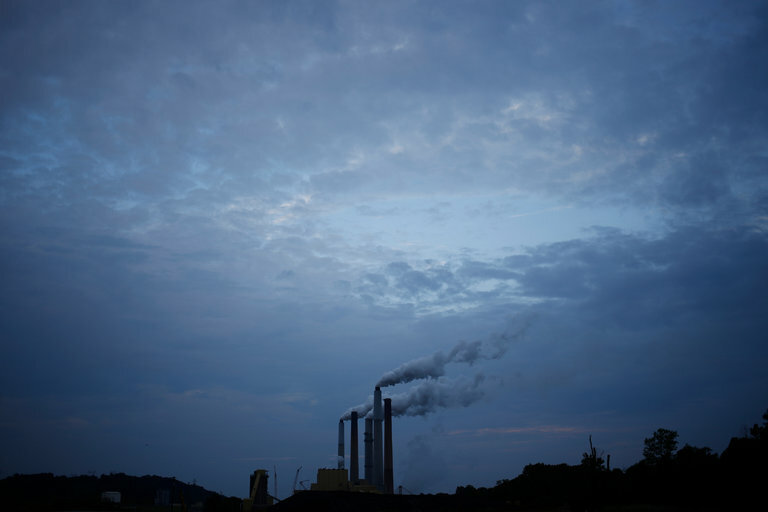 While the White House is not expected to explicitly say the United States is withdrawing from the 2015 Paris Agreement on climate change, and people familiar with the White House deliberations say Mr. Trump has not decided whether to do so, the policy reversals would make it virtually impossible to meet the emissions reduction goals set by the Obama administration under the international agreement. In an announcement that could come as soon as Thursday or as late as next month, according to people familiar with the White House’s planning, Mr. Trump will order Mr. Pruitt to withdraw and rewrite a set of Obama-era regulations known as the Clean Power Plan, according to a draft document obtained by The New York Times. The Obama rule was devised to shut down hundreds of heavily polluting coal-fired power plants and freeze construction of new coal plants, while replacing them with vast wind and solar farms. The draft also lays out options for legally blocking or weakening about a half-dozen additional Obama-era executive orders and policies on climate change. Experts in environmental law say it will not be possible for Mr. Trump to quickly or simply roll back the most substantive elements of Mr. Obama’s climate change regulations, noting that the process presents a steep legal challenge that could take many years and is likely to end up before the Supreme Court. Economists are skeptical that a rollback of the rules would restore lost coal jobs because the demand for coal has been steadily shrinking for years. Scientists and climate policy advocates around the world say they are watching the administration’s global warming actions and statements with deep worry. Many reacted with deep concern to Mr. Pruitt’s remarks this month that he did not believe carbon dioxide was a primary driver of climate change, a statement at odds with the global scientific consensus. They also noted the remarks last week by Mick Mulvaney, the director of the White House Office of Management and Budget, in justifying Mr. Trump’s proposed cuts to climate change research programs. It’s a safe assumption that most Americans have not heard of the US Chemical Safety Board. Donald Trump is certainly banking on that, since he proposed scrapping it in his recent budget proposal. But if the small agency is indeed de-funded, the results could be catastrophic—and we might be left wondering, as the bodies are counted after some large chemical disaster, why nobody was angry when the CSB went away. If Trump succeeds in de-funding the CSB, that’s work that will largely be left undone—in a nation with a creaking chemical-production infrastructure. It’s expensive to shutter old chemical plants because of remediation costs, and many are being extended past their planned lifetimes. The federal government doesn’t track chemical accidents—a small scandal in itself—but best estimates seem to indicate an uptick. The Deepwater Horizon blowout and the large explosion at a fertilizer plant in West, Texas, are the most memorable accidents of the past decade; in West, 15 people were killed and hundreds of homes were destroyed in 2013. Forty-six people have died in US chemical plants since then. This is why worker and safety advocates are panicked by the CSB’s potential de-funding. Since 1997, the IEA has produced an annual compilation of its most used statistics in a booklet easily accessible to all – the aptly named Key World Energy Statistics (KWES) – and the hugely successful booklet has become a constant companion of energy analysts and policy makers.